Call Us To Schedule A Free Consultation! If you have been diagnosed with mesothelioma, suffered a workplace injury, been involved in a commercial truck wreck, or been the victim of medical negligence or defective prescription drugs, our qualified personal injury attorneys at Cappolino Dodd Krebs LLP are on your side. Our team of dedicated asbestos exposure lawyers are on your side every step of the way. We understand how devastating a diagnosis of mesothelioma can be to your family. We can also assist you if you happen to be entitled to compensation from the asbestos bankruptcy trusts. 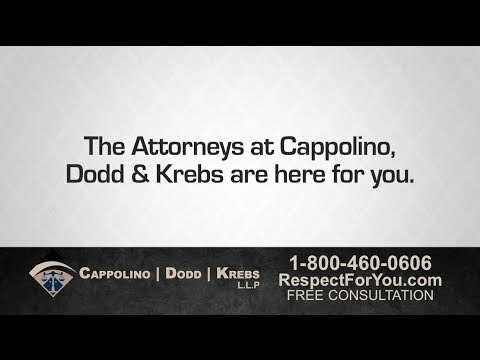 At Cappolino Dodd Krebs, we strive to provide every client with the personal attention they deserve, while upholding the utmost professionalism. We believe that everyone who is injured by the recklessness of others deserves to have their voice heard in court. We make winning clients cases our top priority. We have a successful track record and pride ourselves on customer service, resourcefulness, knowledge of the law and attention to detail. Our Conroe office is easily accessible for your convenience, located 40-45 minutes away from Houston, immediately off Interstate 45. For more information or an initial consultation, call us today at (936) 756-1313.